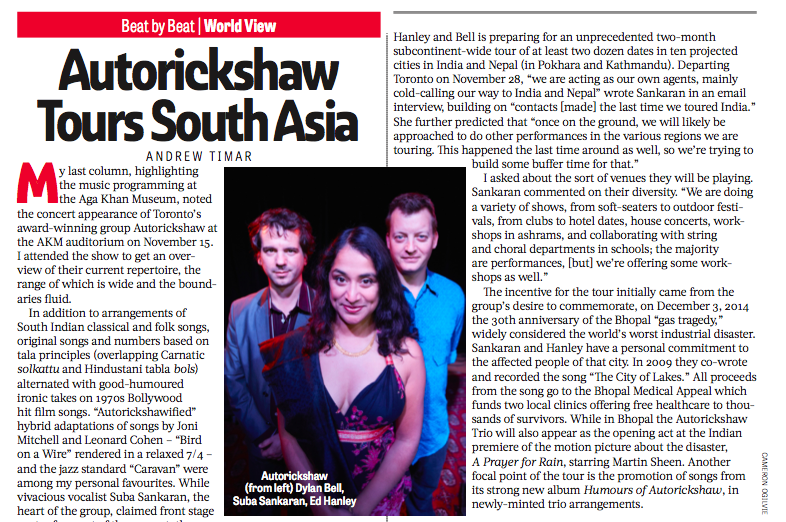 Autorickshaw’s music lies on the cultural cutting edge, as pop, jazz, funk and folk easily rub shoulders with the music of India. Formed in 2003, Autorickshaw is one of the most intriguing acts on the world music and jazz landscapes, garnering 2004 and 2007 JUNO nominations for World Music Album of the Year (Canadian ‘Grammy Awards’), the John Lennon Songwriting Competition Grand Prize in World Music and numerous other national and international awards. Their sound showcases the sultry, sophisticated vocals of Suba Sankaran, anchored by the melodic bass-lines & beatboxing of Dylan Bell over a bed of intricate Indian percussion by Ed Hanley. The group’s diverse repertoire and range of Eastern and Western elements could only come from musicians with deep roots in both traditions. 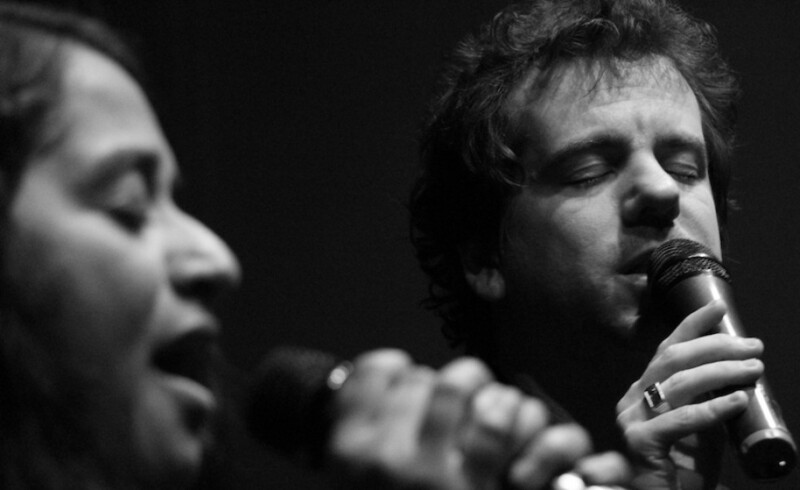 Multifaceted musicians Suba Sankaran and Dylan Bell join forces to create the FreePlay Duo. 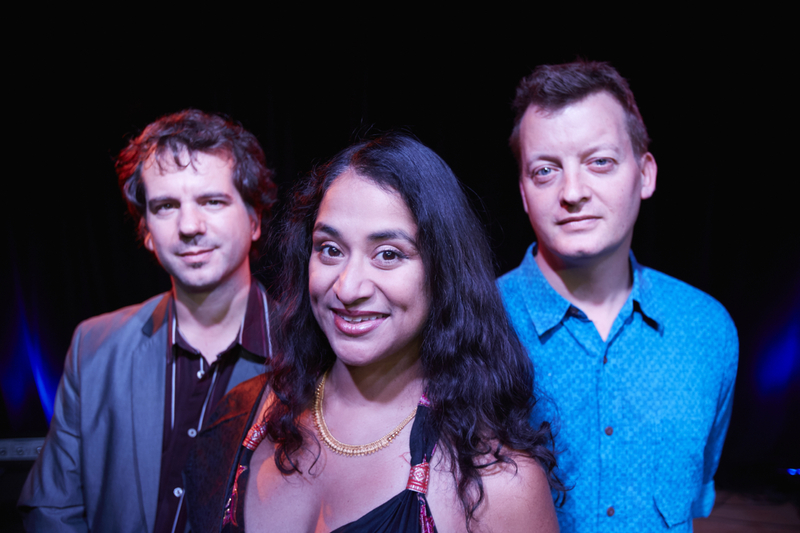 Described as “inspired eclecticism”, using nothing but their voices and a loopstation, Dylan and Suba will take you from the concert halls of Europe, to the jazz clubs of Manhattan, to the temples of India, and back to the cultural mosaic of their native Toronto… all without leaving your seat. From Bach to Bird to the Beatles, Dylan and Suba effortlessly cross musical boundaries to create a concert of endless variety, with the intimate delivery of two people. Imagine Simon and Garfunkel crossed with a Bach 2-part invention… or an acrobatic jazz melody combined with ancient Indian solkattu… or an 8-part vocal arrangement created by two singers, using innovative live-looping techniques… and you’ll get a glimpse of what the Duo has to offer. 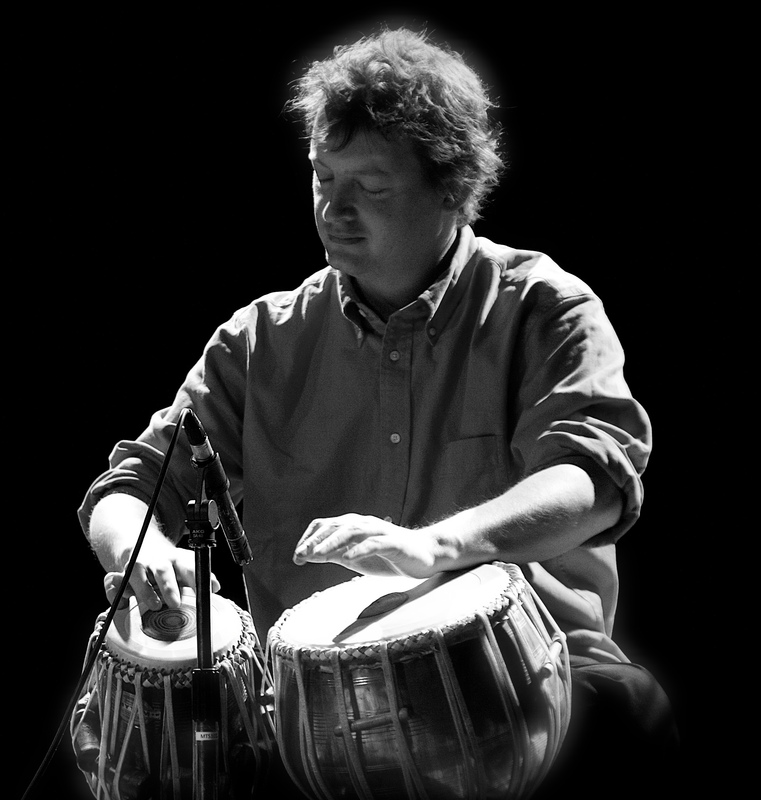 Tabla player Ed Hanley demonstrates a deep devotion to this ancient Indian percussion instrument, having studied and performed around the world for over twenty-five years. Ed takes his knowledge of Indian music principles to new and exciting places, combining rhythmic poetry with modern elements of electronica, live-sound manipulation and video projection to bring a timeless artform into the twenty-first century. 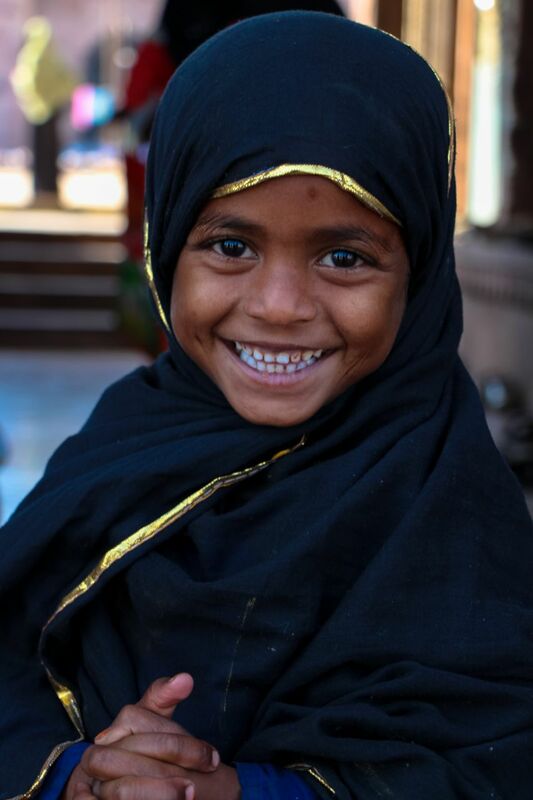 Suba, Ed and Dylan have taken this multi-band format around the world, including stops in India, Nepal, Germany, the UK, the U.S., and the Czech Republic.